It took me 19 years to be able to properly eulogize my father, Robert Rodale. So it doesn’t feel right to take only two weeks to try and write a proper memorial for my mother, Ardie Rodale, who passed away from cancer the week before Christmas. But I also feel like I can’t go back to blogging without acknowledging her—and all of you, dear readers, for your kind thoughts and condolences. So here goes for now; you can expect something more in depth in about 20 years! My mother was a complicated woman. Even on her deathbed I don’t think she fully realized how lucky and blessed she was. She was one of those people who are always in search of something more, and, frankly, a bit angry with anyone who tried to stand in her way. She was a “fighter”. Those of us who have been blessed to know public figures intimately know that there is the person they are to the public and the person they are in private to their closest friends and family. And even that private person can be different, depending on the relationship. Somewhere between the two versions, and surrounding them both, exists the true individual. And like any daughter, I have my list of complaints about my mother, most of which revolved around her love of alcohol (which is one of the reasons I completely stopped drinking more than 10 years ago). But when the dust settles and it’s all said and done, I look back and realize that in many ways Ardie Rodale was even greater than most people think. 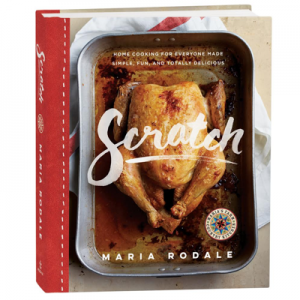 Many knew her as an inspirational, warm, and motherly leader (her latest title at Rodale Inc. was Chief Inspiration Officer). But here is the truth: She was tough as nails, had unerring instincts about business and people, was bold and courageous about everything, and had better stock returns than the experts at JP Morgan. And as a mother she did the one critical, most important thing a mother can do: She stood by us no matter what trouble we got into. And believe me, that’s a long list! Like my brother coming out of the closet and then dying of AIDS, which led her to become one of the earliest spokespeople for support of AIDS patients. Or me having a baby out of wedlock when I was 20. (When she asked me if I was going to marry the biological father and I said no, her response was “Good!”) There are many more examples, some too painful and difficult to remember, but the bottom line is at the end of the day, my mother stood by us with guns drawn. Oh, she wasn’t happy about having to do all that stuff—getting us out of scrapes, running the business after my dad got himself killed in a car crash, and being a spokesperson for tragedy and misery, including her own battles with cancer. If she’d had her way, she would have been dancing and partying and shopping and living the spa life all the time. Maybe that’s what she’s doing now, with my brother and father, her two favorite dancing partners. But the truth is, I think I inherited one of her most stubborn Pennsylvania Dutch qualities—the tendency to work too hard. Too much leisure makes us bored, and before you know it we are cleaning things out, writing books, and, in general, trying to save the world. I have always tried to learn how to be a better mother from my mother—by doing what I am thankful she did, and not doing what annoyed the heck out of me (although sometimes I can’t help it; I am, after all, my mother’s daughter!). For all her complications (I mean, what woman isn’t complicated? ), she accomplished quite a lot. But what feels the weirdest and the worst is that I don’t have a mom to call when I get home, or to check in with, or to tell a funny story about my kids. And my kids’ memories of her are now fixed in number, and memories, as we all know, fade with time. Even up until the end, I think my mother thought she would live forever. Whether she was somehow right is a mystery that she now knows the answer to, and one day each of us will also find out for ourselves. I’m in no hurry. But until I do, I have plenty of memories of my mother to sort through, savor, and eventually, perhaps, write about. She wouldn’t want it any other way. a difficult, honest post to write, beautifully done. Thank you for your candor and loving tribute to your mother. I went through so many feelings that you express (and still do–only it gets “easier”). The strangest for me since my parents & husband all died within 10 months of each other was that I was and “orphan” – and also no ones wife anymore. Memories have a way of keeping them alive for us with new ones always popping up to make us smile & let us know they are with us. You, too, are an inspiration as Ardie was and always will be. Ardie will always have a special place in my heart. It takes much courage and strength to not only keep going, but to share your feelings openly. Thank you for sharing. Keep healing, getting stronger, and keep fighting (you, too, are a fighter and inspirational). Thank you so much for writing about your mother. So much in your postin matches my life. As the oldest of six children,I had some of the same things happen ,such as my Dad’s death when I was seventeen,my mother left with six of us to raise. Her problems with alcohol, which caused me much grief, but which she never admitted.I came to believe, however, that the good things that I have, such as how to cook a good healthy meal with little, how to take care of a sick child or adult, and how to make do in hard times, were all things she gave me before the alcohol problems came. She also stood by me when I had a baby at age sixteen. We had no control , however,when it came to giving him up for adoption.She stood by me during my grief over that. She loved my boyfriend, who also stood by me. we married with her blessing and the use of her car to elope. Eventually we had six more children ,and when the first baby was 48 years old, we found him, and my mother was so pleased to meet him and his wife and four children. So, When she died from a horrible cancer and I and my children and siblings had taken care of her,I missed her terribly.That was in 2006, and I still want to pick up the phone and call her to share something with her. No wonder I love to read your columns. I will tell you that I used to read the old magazine, the little ones on the plain paper. My Mother also was a gardener and I guess That is one more thing I got from her. Thanks. Thank you for writing this. I too lost my mother awhile ago and she was and is my best friend. She gave me life and taught me how to live it. Mothers are special….never to be forgotten. She is my guardian Angel. What a well written memorial! I never met your mother, but interning at Rodale I heard plenty about her. Seems like an incredible woman! Sending my thoughts to you and your family. I also lost my mom (age: 82 yrs.) before Thanksgiving 2008, and miss our daily phone calls so much! Thank you so much for sharing your memories of your mother. Reading about her personality, I felt as if you had written about my own mother. She loved her family and friends, and loved photography. Mom was an honest, high-energy, talented floral designer, and also a strong-willed fighter–yet, a loving daughter (and single parent) who took care of her own mother, who lived to be 99 yrs. After that, she took care of her bachelor brother, too. She was there for me, and both grandsons, when I became a single parent. I am so grateful for the many photos she left us as vivid reminders of her passions in life, and for the examples of love and hope that she provided. Even in 20 years I don’t see this being topped. Great Job. I am so sorry to hear of your mother’s passing. I couldn’t believe it while reading your memoir of her. I met Ardie when I worked @ Rodale a couple of years ago. Wonderful person and yes I picked up her tough demeanor which I admired about her and still do!! We all have our quirky relationships with our mother’s, good and bad, but we learn so much from our mother’s. Good & bad as well. 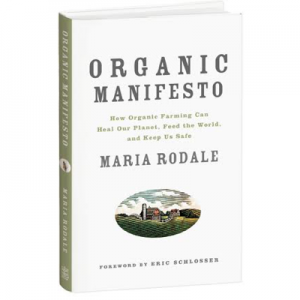 It was a great experience my time @ rodale and getting the chance to meet such an incredible woman as Ardie Rodale. My condolences to you & your family. Thank you! What an inspiration, only a daughters love could have said it so eloquently. Losing a loved one is always devasting and at Christmas time even worse. Nothing ever replaces them, but time draws them even nearer. Feel comforted by knowing they are still there loving and caring for you. We don’t see God in person, but we know he’s there and he shows us in many ways. Blessings always. I guess I never thought about the Rodale company having actually people running it. I mean real people. People with human flaws and strengths. Often when we read eulogies or tributes they are not as honest and candor as yours to mother was written . I was deeply touched by it. From what I read here, don’t change too much. The honesty you expressed here was refreshing. The love real. It wasn’t glossed over which made it all the more beautiful. What a beautiful summery of your mother… As a diamond has many facets so did she. It shines and glimmers in spite of any flaws that we often can’t see. Your mother was always so sweet and kind hearted to me. It was a pleasure to have worked with her and to know that she was a rare gem. Those who only know her through written word missed a very sweet smile. When I suffered the loss of my husband she was comforting both with a hug and some gentle words. She took the time to pen a note as well. It seemed she was always thinking – wheels turning – you could see it in her eyes but I loved that when those eyes were looking at me it felt like she could see right into my heart and feel my pain. Knowing that she truly understood what I was feeling. As you well know, loss is never easy and memories both comfort and cut but I wish you a peaceful journey in your walk to what is never really a full recovery but a place of rest. I am sorry to hear your mother passed on…you wrote a beautiful eulogy, with honesty and love. Peaceful blessings to you and your family, to comfort you as you deal with your loss. What a wonderful tribute, “In Memory of My Mother, Ardie Rodale”, you have written regarding your mother. I know your will miss her tremendously, and I am sure you have wonderful memories to call upon to ease your loss. Focussing on her positive memories will diminish the significance of the negative thoughts. She, for sure, thought you were a super daughter! Last night, I was reading an article on the back page your Mom wrote, and I was thinking “I wonder why Ardath doesn’t write articles anymore?” Now, today I see your post, and I had not realized she was your mother. Your article was well-done, and your Mom would be proud. Maria, When I was cleaning out my office after retiring from teaching I found a self portrait that you had done in my art class, yes, looking intense and maybe a bit angry. This was, I think ,your last semester at Lehigh for you would have a baby to care for soon. I sent the drawing to your mother whom I had known only slightly. Carry on you grand legacy from Anna and J.I. to Bob and Ardie. Brava for your strength and honesty in your portrait of you mother. I had the fortune of meeting Ardie several times through my involvment at the art museum, and each time it was a pleasure and an education. Best wishes to your entire family as you move forward and continue her legacy. What a beautiful, warm and brave post! She is surely shining on you right now. I know what you mean about not being able to call your mom. I still experience that almost two years later. One thing I can say is that the memories do stay with you. And in some ways, my mother is more present now with me everyday than she was when she was here on earth. I’ll be interested to compare notes on that! Your mother was such a love and she was fierce too! I experienced her fierceness and I’m glad for it. My life is richer having known her and I can only hope to live up to her grace and generosity of spirit. Blessings to you and your family during this diffcult time. Wonderful tribute. I lost my father-in-law 5 years ago, and I know it is not the same, but he was in many ways more father to me than my own. He was also a complicated man to his family, especially, and a fighter. And so I think of him when I read your words and am thankful for those people who challenge us and make us who we are. I am dreading the day that I lose my husband. He is quite a bit older than I (that doesn’t necessaily mean that he will pass before me, but the chance is greater). He is very strong willed and stubborn, full of inner strength like your mother. I pray that I will have the courage and strength to deal with his passing the way that you have dealt with the loss of your mother. It doesn’t matter if they are sick or not, we always want them to be with us physically, much less spiritually. I will continually hold you in my thoughts and prayers, that you will continue to be strengthened in your time of sorrow. All the best. Maria – So sorry for your loss. Your words about your mother are beautiful, honest and very touching. I hope my children will be able to say some of the very same things about me when it’s my time to crossover. May your loss be eased by knowing that her spirit lives on (in heaven and in you and your children). Your mother was a strong and courages woman. She stood tall when compared to other women and many men. Your words, your thoughts of your mother show a warm, trusting relationship. We will all miss her greatly. You wrote, “Too much leisure makes us bored, and before you know it we are cleaning things out, writing books, and, in general, trying to save the world.” I wish too much leisure on you, Maria, so you will combine these rich eulogies and more into a book about your family…and thereby wrap (y)our values and causes into entertaining stories that impact dear readers everywhere. As the producer of Rodale’s Successful Quilting Library series, vols. 8-15, I’d sure love to see such a book illustrated with art quilts and folk art! How about a memory quilt for Ardis? You can do it!…but after you commit your elegant and folksy prose to book form! Just ordered Our Roots Grow Deep. Can’t wait to read it. Having my dad just pass last week from terminal cancer at 84, and being the youngest of 6, I can relate to the gray area of emotions and feelings dealing with a strong parental figure who was willful, driven, and though loyal to family, self-absorbed and having little care for engaging in his childrens’ goals, let alone remembering birthdays or ages. Even when I had the chance one-on-one to discuss his cancer and the finality of it–he only asked irately–“what do you want of me?’ And all I said was compassion–for those also having to live with and suffer along side his cancer. Life seems to go on hold to a degree during cancer, making every decision overly executed, and every holiday or family event artifically special. I’m glad to stop holding my breath now and let life resume. He was a good man. But I want to be a better person based of his experiences, and if nothing else, live compassionately. I have been behind in my reading of Prevention…………….and just found out today that your Mother had passed away. I love all of her writings and wish you and all of your family peace during this time. I used to aint Ardie’s folk art books and have misplaced some of them. Is this Ardie your mother. If so I felt I knew her. She was such an inspiration. I loved her books. Please let me know if this was who I have been looking for Thanks so much and you have my prayers. I just wanted to let you know that this letter really touched me casue my mother passed away 5 years ago and she had it for 13 years, but I just wanted to let you know that I really enjoyed reading it and sharing your battle with you…………..